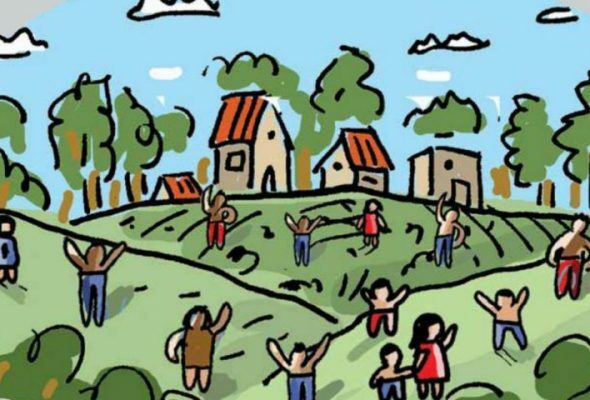 The International Planning Committee for Food Sovereignty (IPC) has published a people’s manual that aims to make it easier to understand the Tenure Guidelines and provides a practical approach to people on how to use them in their struggles. The Voluntary Guidelines on the Responsible Governance of Tenure of Land, Fisheries and Forests in the Context of National Food Security are a new international instrument that can be used by peasant, fishing and pastoralist organisations, indigenous peoples, the landless, women and youth, and civil society as a whole, to assert their rights. This pedagogical and didactic guide highlights the parts that offer answers to their needs and provides advice on mechanisms, strategies and actions that can be adopted to generate dialogue and to defend human rights and social justice in the processes, institutions and activities of governance of natural resources. The manual is the result of collective and participatory work undertaken by the Land and Territory Working Group of the IPC (International Planning Committee for Food Sovereignty). Spanish and French versions of this publication are available on the website of the IPC. This campaign is financially supported by the European Commission. The views expressed herein are not of the EC.